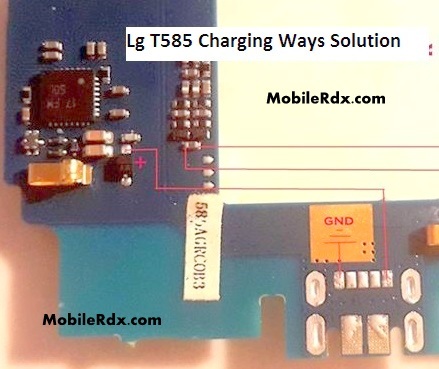 Here’s the solution for LG T585 Not Charging problem , this simple solution provides the basic details on how to fix the problem. Just refer to the solution below and follow some steps procedures on how to troubleshoot the problem. This solution may works on ‘charger no response indication’ when any working battery charger is plug-in to the DC jack. After removing body of your Lg T585, the very first thing that you need to do is to re-solder first pin of charging connector and check. All of the above steps will surely help you to resolve your LG T585 charging problems in the best possible manner. Check our Lg T585 Mic Problem Solution.